Open the door and the first thing that catches the eye is the center console with its futuristic shifter and large touchscreen. Strips of what appear to be real aluminum adorn the console and small flourishes of metal can be felt all over the console, interspersed with piano black plastic. Three large dials in the middle sport small LCDs that allow for both easy adjustment of temperatures and fan speed while still offering the high-tech look befitting a car of this caliber. Every switch and dial feels well weighted and well damped and moves with a smoothness and precision reminiscent of a high performance timepiece. Atop the center console is one of the party pieces of the car's interior: the automatic opening and closing HVAC vents. They rise out of the console when in use and tuck back in to hide away when not. Everything about this center console feels like it fits right in on a car with this price tag until you reach the cupholders. From the cupholders back, things take a sudden turn for the worse. The stitched dash and aluminum give way rather starkly to hard plastic with a matte finish. That material feels much less premium and much less soft-touch compared with the rest of the tangible areas of the dash. It is not the prettiest part of the dash, but luckily it accounts for a really small amount of actual interior area. 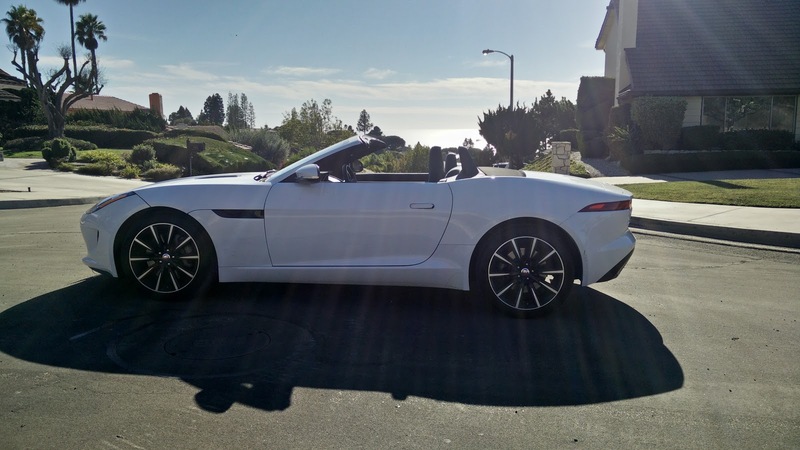 Unfortunately, the fact that this accounts for a small amount of the interior also accounts for the fact that there is not exactly a ton of storage space inside the Jaguar. 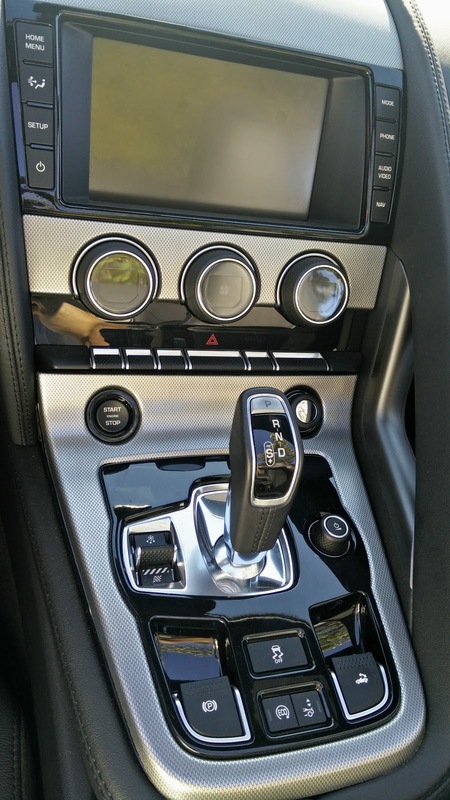 Looking around, the steering wheel is typical Jaguar, which has the standard bevy of buttons for control of the infotainment, Bluetooth, and cruise control functions while the thick leather wrapped rim feels good in the hand. It is not the most impressive looking dash layout, but is clear and functional and everything feels like it fits in a sports car, especially one of this caliber. One thing that people like to complain about is the shifter, which tied to the ZF-sourced 8-speed automatic, is fairly intuitive to use, but not always super responsive. I occasionally find a false neutral when shifting into drive from reverse or park because I did not apply enough pressure to the button on the front. Fortunately, the car will go into park automatically if the driver door is opened so there is little fear of the ridiculous roll-away situations experienced by owners of some FCA products. 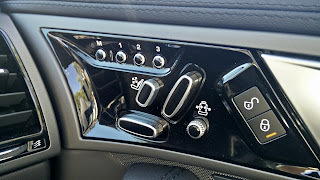 As our car is not an S model, we do not get the fancier magnesium shift paddles and the standard ones that come on the car are quite honestly a little cheap feeling, though their motion is well damped and provides good feedback. Key to Jaguar's overall interior ambiance are the seats; those incredibly comfortable and insanely adjustable seats. With controls to tailor not just the seat back angle and seat height, but also the width of the side bolsters and the position of the lumbar support, these are some of the best seats I have experienced in a car. It does seem like overkill to have this much adjustability, but it really does make the car that much more enjoyable. 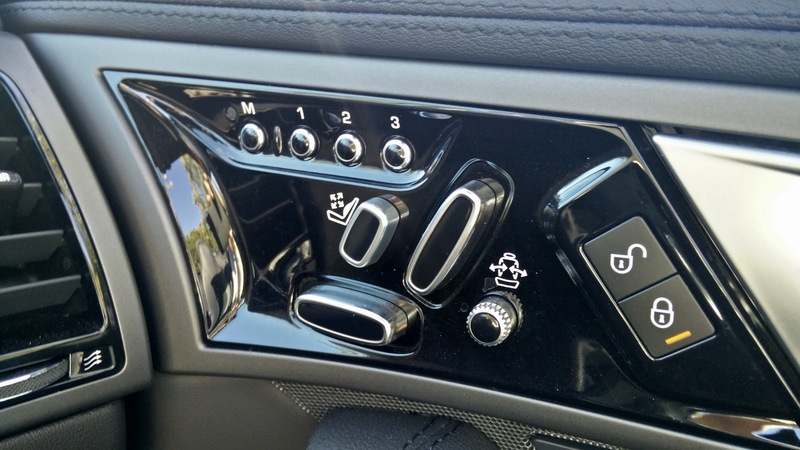 Add in the fact that the mirrors and the steering wheel positions are electronically adjustable and also linked to the 3-memory positions, it allows a driver to fully appreciate everything this car has to offer. Even the passenger seat has seat memory and a ton of adjustability so passengers can find the perfect position from which to enjoy the car's performance. On whole, the Jag's interior offers a lot of form as well as function. Touches of decadence with tons of well thought out design for enjoying the drive of a fantastic sports car. If this balance can carry through to their other vehicles, especially as they continue to progress lower down the price ladder, this new Jaguar may just find itself able to crack the current market in a way the old Jaguar never was able to.